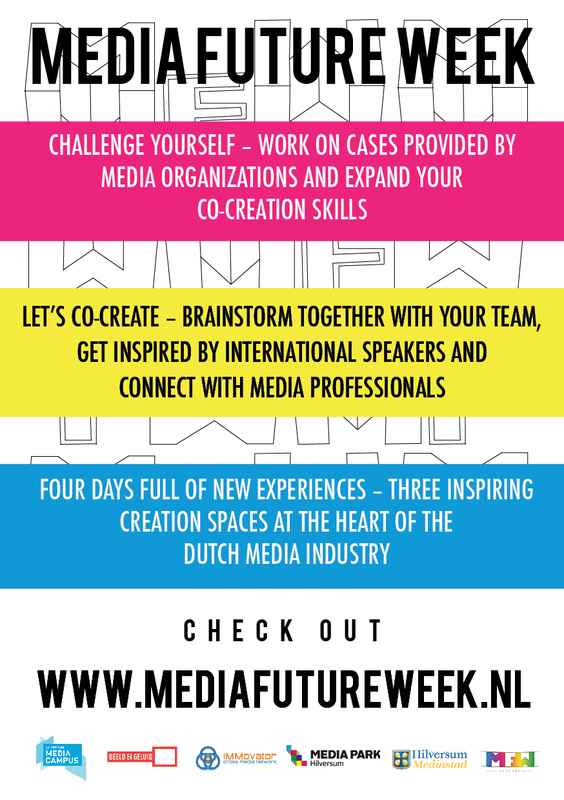 On Wednesday May 17th, data journalist Henk van Ess resides at the Media Park for the Media Future Week. That afternoon he gives a lecture and workshop in ‘Beeld en Geluid’ called ‘Fact checking the web.’ During the first part he will explain how you can find real stories in social media. After that he will take us on a deep dive in the world of fact checking and web investigation, using the case of Jihadi John to show us how to start your investigation. Dutch-born Henk van Ess is a trainer of media professionals specialised in new media, social media and data journalism. Van Ess is obsessed by finding news and stories in data. What can you dig up online about an event or a story? What could you get with digital digging? How to check facts? Henk van Ess shows that there is much more to find online and how you can use it effectively. Henk van Ess shares his secret how he doesn’t drown in fake news and information overload. His answer: by curating the web and using smart filters. In just 30 minutes you will learn a new strategy to find stories in social media. How can you find out lay offs at a bank before anyone else? How do you find out who is behind a controversial initiative of a sperm clinic for rich people? And that secret flight of a Boeing – was it bogus or not? Henk will also share his vision about where fact checking is heading. In part 2 shows Henk van Ess how you start your investigation and journey to unmask certain cases. What are the choices you have to make? How do you conduct responsible web investigation under time pressure? You can experience it live in a investigation to Jihadi John, worlds’ most wanted jihadist. Henk van Ess drives full speed in dead end roads. However, everytime there is a smart trick that helps you to keep going on. In just over an hour, you’ll find 15 tips that you can use again for research on complete unknowns. This research was done by Henk for the British newspaper Daily Telegraph. For privacy reasons, the names and addresses shown can not be mentioned in social media. 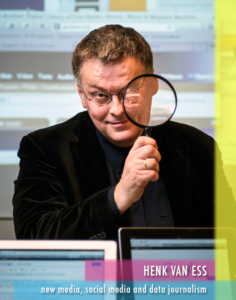 Sign up for this Meet the Master session via the iMMovator website (in Dutch): ‘Fact checking the web’ with Henk van Ess, it’s free of charge! Please note: limited seats available. This Meet the Master session is organized by Hilversum Media Campus and Immovator as a special part of the Media Future Week program. The MFW speakers are made possible by Stadsfonds Hilversum.